The Cuckoos are yet to win in 2019 and it will be tough for them tonight against big-spending, if under-achieving, visitors. 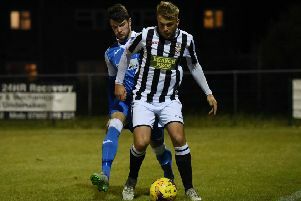 Second-placed Deeping Rangers are chasing a 10th straight win in the United Counties Premier Division when Desborough visit the Haydon Whitham Stadium this evening. Victory would move Deeping to within four points of leaders Daventry. Fourth-placed Holbeach United have a tricky game at sixth-placed Eynesbury Rovers. Division One Central: Yaxley v Bedford Town. Premier Division: Deeping Rangers v Desborough Town, Eynesbury Rovers v Holbeach United. Semi-final: Huntingdon Town v Godmanchester Rovers.